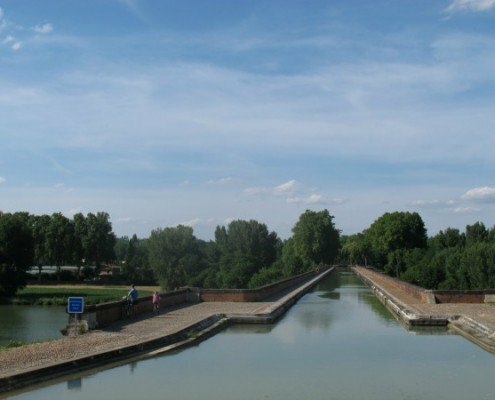 Officially called Canal de Garonne, built in the nineteenth century, it links the Canal du Midi to the Garonne River and subsequently the Atlantic and the Mediterrean; hence the name “canal of the two seas”. 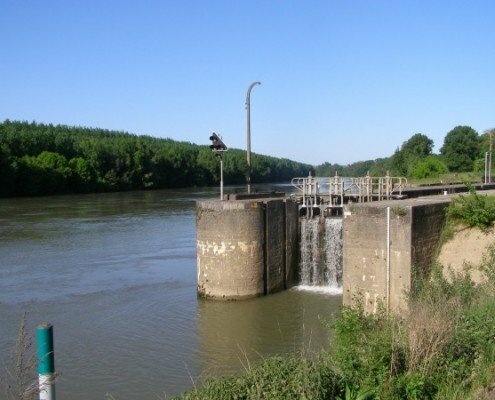 It extends over 193 km, dotted with 53 locks, including the 10.5 km deviation at Montauban, and 11 locks. 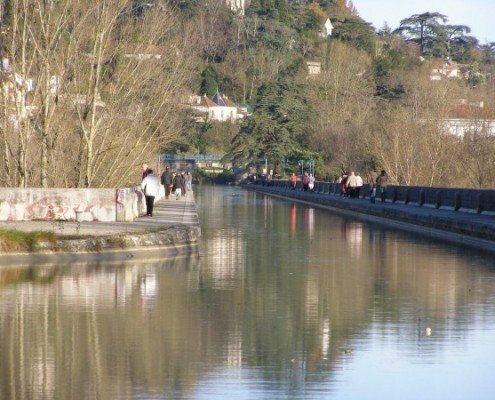 Furthermore, there are 7 canal bridges over the Garonne river and its tributaries. Opened in 1856 (almost 200 years after the Canal du Midi), competition came quickly from the Bordeaux-Sète railway line, completed at the same time. The canal is now a popular tourist destination for barges and boats, boat rental companies, cruises on hotel boats as well as passenger vessels. The creation of a greenway, along dams and towpaths, has contributed to the growth in cycling. Current initiatives strives promote goods transportion on the Garonne Canal and more broadly on the Canal of the Two Seas.